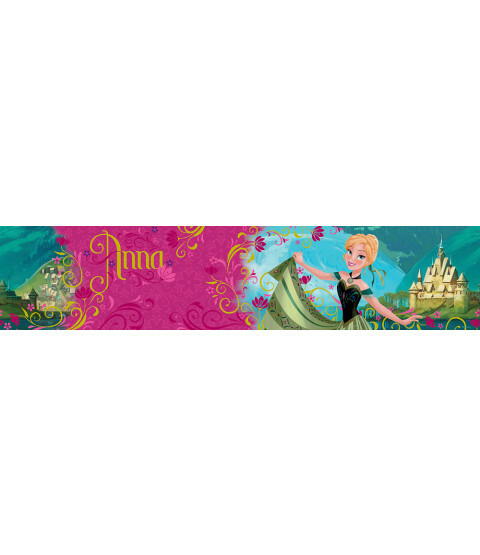 Create a Disney Frozen themed room with minimal fuss or effort with this official wallpaper border. The self adhesive backing makes the border incredibly easy to apply, with no need for messy glue or paste. The design features Anna in Arendelle before the kingdom was trapped in an eternal winter by her sister Elsa. Coordinating Disney Frozen items including bedding, curtains and furniture are also available to purchase from our website.